The holidays are a time to be thankful for our friends, family and all that we have. It’s a great opportunity to start showing children that being thankful is important and encourage them to show signs of gratitude not only during the holidays but throughout the year. 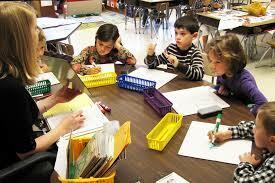 Children learn from their parents by watching and hearing how they interact in social settings. By hearing you say ‘Thank You’ and “You’re Welcome” your child will be more apt to use those words as well. Seeing you give back to the community or assisting others will give them a visual example of grateful and thankful behavior, further encouraging them to do the same. 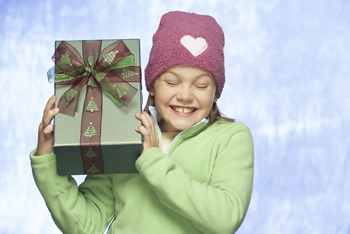 During the holidays there are great ways to give back whether through Toys for Tots or the Salvation Army. Have your child pick out a toy to donate and let them drop it off with you. Going through the entire process will help them see the benefit of give back and give them a feeling of happiness. December 26 is National Thank You Note Day, a great reminder to send thank you cards after opening presents this holiday season. Encourage your children to write to their relatives, even if it’s a picture thank you card. The experience of writing and sending the card themselves will reinforce the idea of being thankful. You could end up turning it into a tradition every holiday season. By making the concepts fun and including the whole family, you will additionally reinforce how great it is to be thankful! 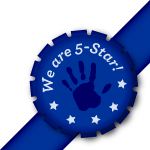 Thank You for Choosing Primary Beginnings 5 Star Raleigh Child Care! Primary Beginnings preschool in Raleigh chooses to apply and achieve the highest rated license to support our philosophy of providing quality care for young children. Each of our child care centers in Raleigh are rated 5 Star which is the highest rated child care license. Request a tour of one of our Raleigh child care locations near you!